ICRP, 2014. Radiological Protection against Radon Exposure. ICRP Publication 126. Ann. ICRP 43(3). Abstract - In this report, the Commission provides updated guidance on radiological protection against radon exposure. 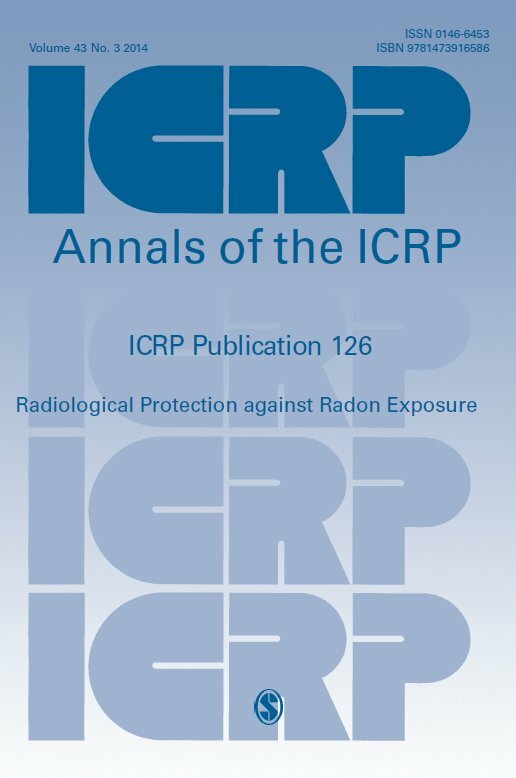 The report has been developed considering the latest ICRP recommendations for the system of radiological protection, all available scientific knowledge about the risks of radon, and the experience gained by many organisations and countries in the control of radon exposure. The report describes the characteristics of radon exposure, covering sources and transfer mechanisms, the health risks associated with radon, and the challenges of managing radon exposure. The Commission recommends an integrated approach for controlling radon exposure, relying as far as possible on the management of buildings or locations in which radon exposure occurs, whatever the use of the building. This approach is based on the optimisation principle, and is graded reflecting the responsibilities of key stakeholders, notably in workplaces, and the intent of the national authorities to control radon exposure. The report also provides recommendations on managing radon exposure when workers’ exposures are considered as occupational, and the appropriate requirements of the Commission should be applied.